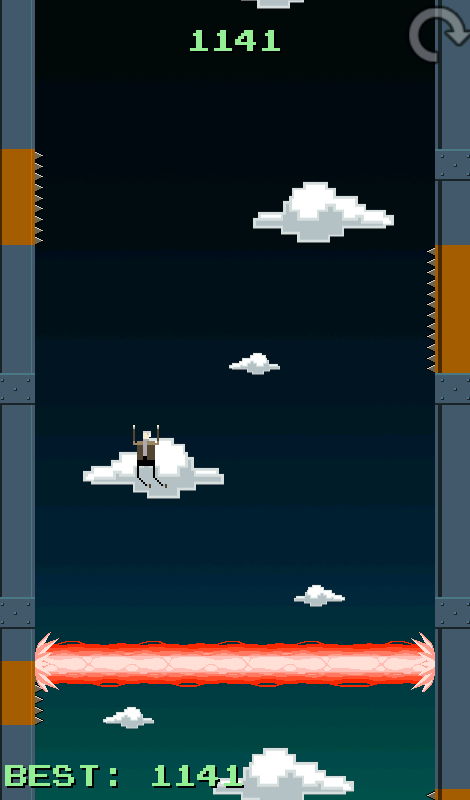 How high can you get before you break your bones? 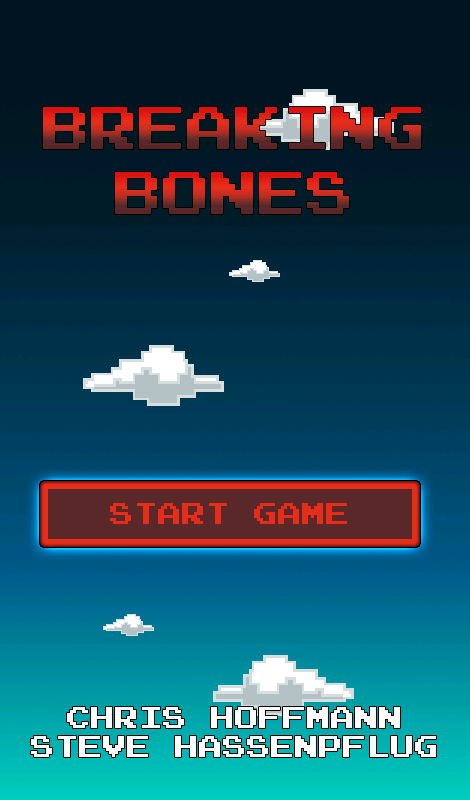 “Breaking Bones” is a simple but challenging one-button game for Windows Phone 7. 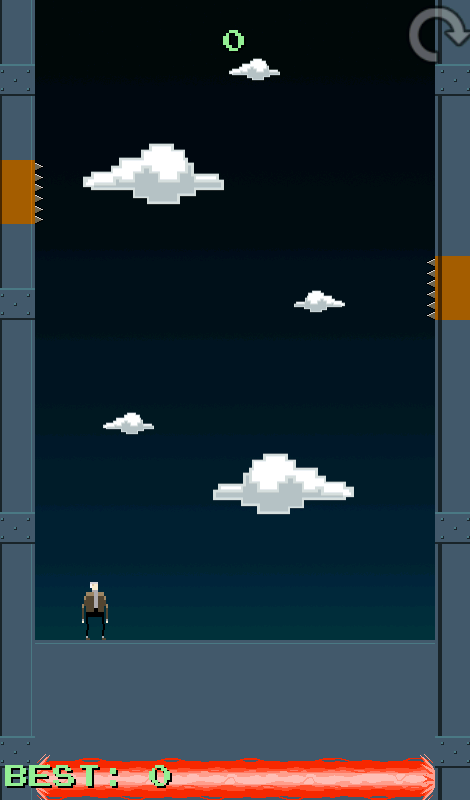 The player leaps between steel beams on either side of the level by tapping the screen. 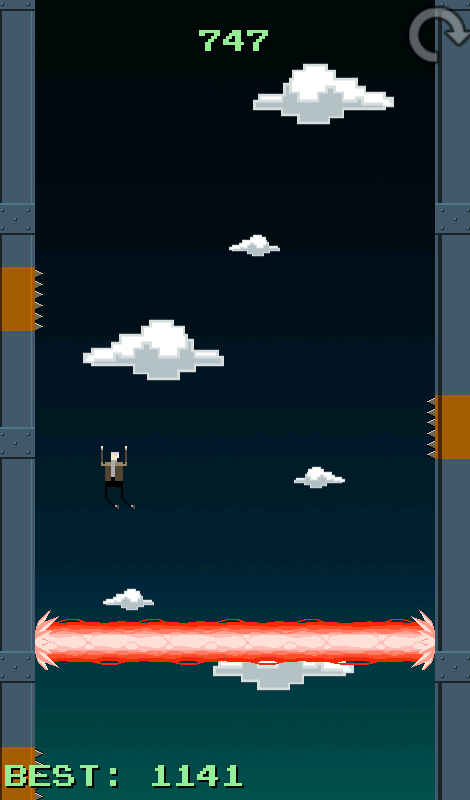 He must avoid the ever-present deadly spikes while getting chased by a devastating laser beam. This project has been entirely realized in just one night of work by me and my fellow designer Chris Hoffmann. Everything was done in exactly 10 hours – including design, programming and creation of graphics and sounds.